My house was built in the 1960s and is a little rectangular ranch with high windows and no window sills. Not good if you have cats (mine are confined to two large windows in the whole house) and not good if you like houseplants. 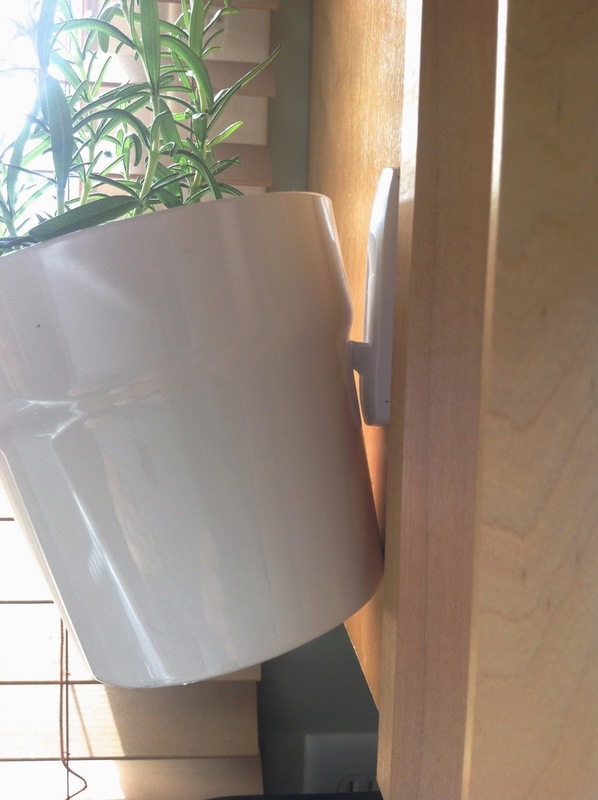 I've seen a lot of really cute hanging planters recently, and came across this idea for attaching them to the cupboard. 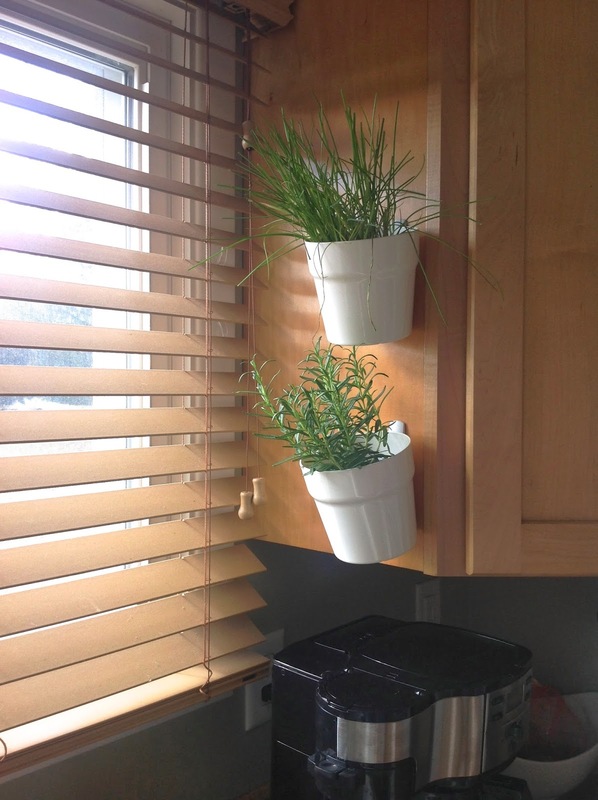 It's perfect if you want an herb garden in the kitchen but don't have wall space or a sill. Here's how I did it. 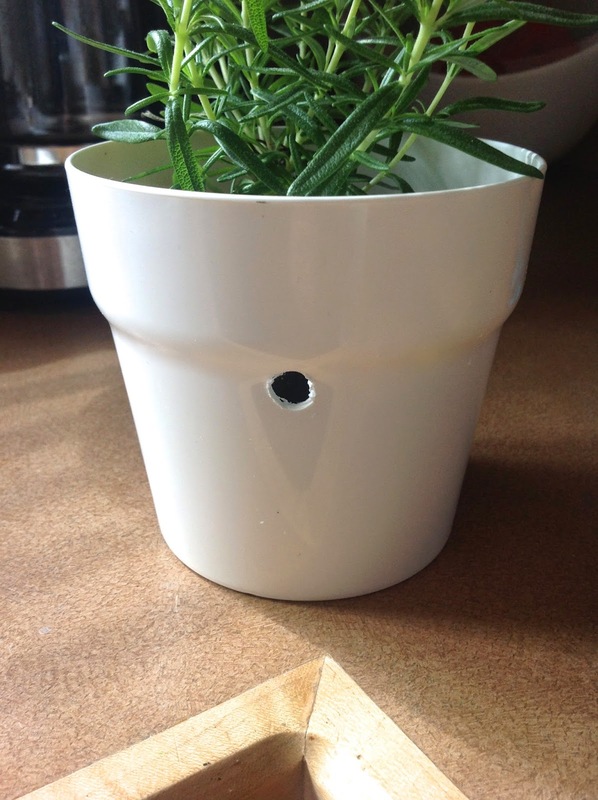 Step 1: Drill holes in the back of your pots a little bit down from the top. Step 2: Follow the directions on the Command hooks and stick them to the cabinet/wall. 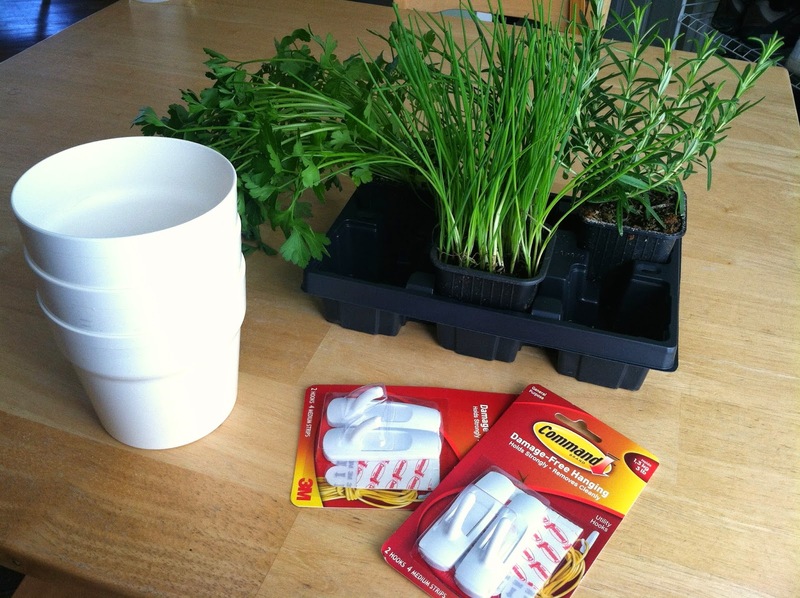 Step 3: Set your plant into your drilled pot. Although this keeps the plant in a very small pot, it makes the herbs much easier to water and also water is still able to drain out of the bottom. Step 4: Hang 'em up! These little guys dry out super fast in their small pots, so make sure you check them daily. Enjoy!